What are Cardooo activity birthday cards for kids? Cardooo are available in selected Asda stores. They are suitable for 4-7 year old children, and have small activity books included within the birthday card itself, as well as stickers. Kind of like a little secret present that you aren’t really expecting when you get the card! They currently (November 2015) retail in ASDA at £3.00 each. 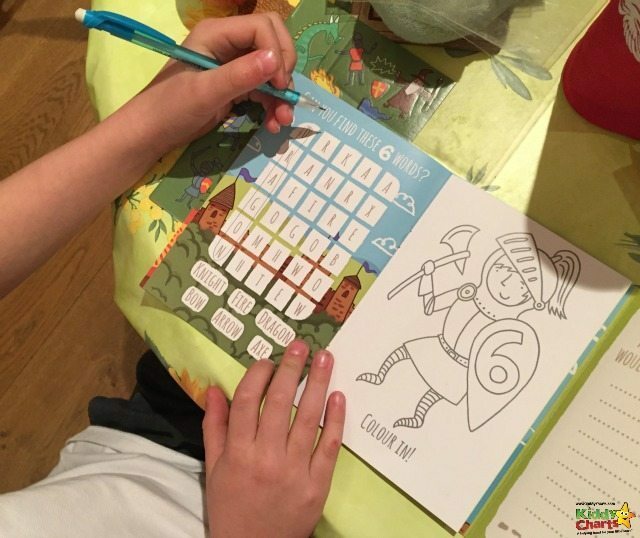 What did we think of Cardooo activity birthday cards for kids? These are a simple, but very effective idea. For a pretty small outlay, the cards offer an extra “present” to whomever you are buying the cards for. Typically, we would spend c. £2.00 on a card, so this is only a little increase for a considerable bit more. Additionally, these could keep those little birthday hands busy for just that bit longer, which is probably not going to be a problem for most parents whose kids are going to be sugar fuelled for most of the day! The activities seem to be well pitched at the different age groups the cards are targeted at, with the age four activities suitable for those whose literacy skills aren’t quite as well developed as those at seven. The colours are bright and engaging too, perfect for little ones to grab their attention, and keep it too. As for the quality of the product, the cards are surprisingly thick, as are the activity sheets, particularly given the cost of them. They even have a lovely shiny coating, which even my kids commented on when they got the cards out of their wrapping. What did our reviewers think of the Cardooo birthday cards? We gave these cards to three of our reviewers to check out – overall they loved them. In fact, each one of them gave them 10 out of 10! This has never happened before on this site…. We loved these cards; such a great way to give a little extra present to the birthday boy or girl. They are ideal for a parent to give to their own child or a close relative. They are perhaps a little more than you might spend to give to one of your child’s friends though. The activity book would probably not be seen as part of the present, so you could end up spending a little more than you would normally do. Having said that, we wouldn’t hesitate to buy these for our kids, or close friends and family. A perfect way to keep the children entertained and quiet on an otherwise completely chaotic kind of a day! 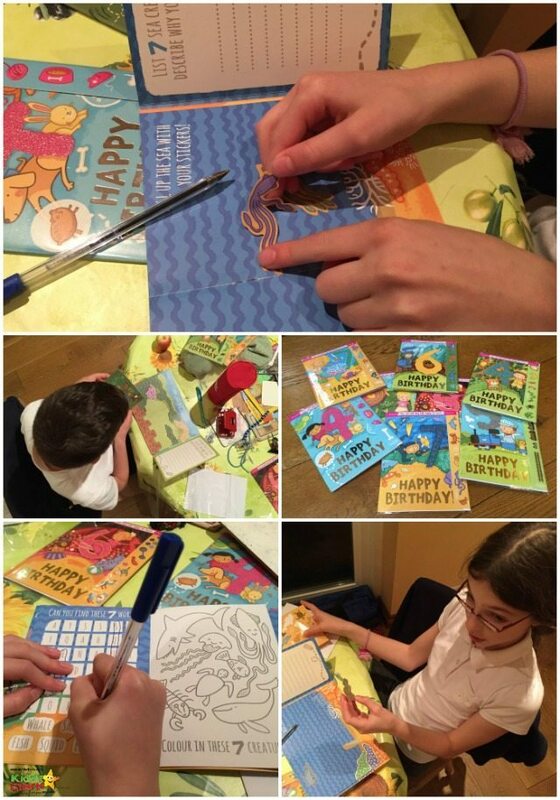 Have you tried the Cardooo birthday cards for kids? What did you think?